5.0 out of 5 starsCANOPY CONFUSION- DECODED!! Before I begin I'd like to mention that each kefit 30 works the same, clicks the same and weighs virtually the same. But here are the 4 types of chicco keyfit 30 carseat canopys. 2) the "magic" canopy- these provide extra sunshade in that there is a zipper in the rear that when you open it extend the canopy by a mesh opening that provides an adequate amount of shade. 3) the "3-panel canopy"- this is the tricky one. 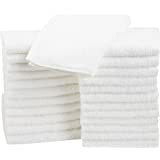 These as well provide great sun protection. 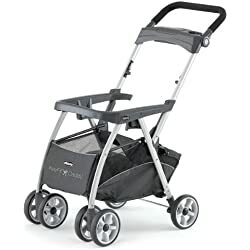 However, The only way to know if the one your looking at is a "3-panel canopy, youll have to check if this particular style (for example the keyfit 30 papyrus) comes in the matching BRAVO stroller system. If it does , then your car seat is a "3-panel canopy" which has much more shade than the "sporty" canopys. 4) the "ZIP" canopies. These provide ample sunshade as well, but the zip is just more of a fashion statement. Also Chiccho has some exclusive stlyes(colors) that are only offered by either babies r us , BuyBuyBaby or Target. To view these on the chicco website, just search gear and click on shop by retailer. youll then see all the items sold exclusively. So the issue most have is because all these 4 types are are headlined under the same product when essentially they are somewhat different and not just by color. I will now list some "sporty" example models"
Thank you Carey from Chicco customer service for helping me confirm this data. I hope this helps many of you out there excited soon to be parents! We tested the systems to determine which would be the best for our baby. As engineers, we approached the tests in full scientific fashion by creating a specific list of points to evaluate. I marked the winner of each criterion (if there was one) with a “*” below. Britax B-safe – Took less than five minutes to install properly after watching a YouTube video showing how to do it. *Chicco KeyFit 30 – Fewer steps and adjustments required than the B-safe. It’s touted as being the easiest car seat to install on the market. While I haven’t tried to install every car seat available, it was very easy! 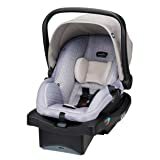 Britax B-safe – For both the Civic and the Highlander, the passenger seat had to be pulled forward from the position that I normally ride with it in. The Civic resulted in about 3 inches between my knees and the dashboard, whereas the Highlander had a more comfortable 7 inches. Thankfully we have the Highlander to use primarily with the car seat and I won’t have to be crammed in the Civic with the car seat- or I will learn to love the back seat next to the baby. Chicco KeyFit 30 – Basically identical result to the B-safe. Perhaps a smidgen more clearance left for me than the Britax. 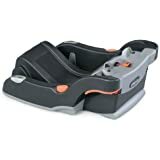 Britax B-safe – The car seat drops into the base and feels secure immediately. Getting the car seat out of the base proved trickier, since it seems like the seat was designed for bigger hands than what I have (average size for 5’4” female). I had to use one hand to hold the car seat and one to lift the release handle. 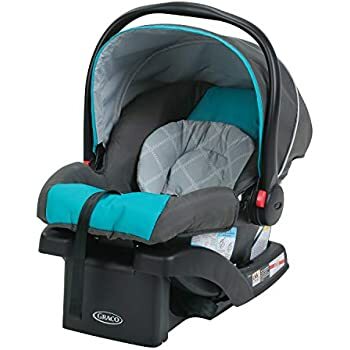 Once the baby is in the car seat, there might be enough weight to hold the car seat steady so I can lift the handle with one hand. Otherwise, I’ll stick with the two handed approach. 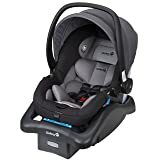 *Chicco KeyFit 30 – Just like the B-safe, the car seat dropped into the base and felt secure immediately. Removing the seat from the base was easy to do one-handed, since the release handle seemed better designed for female hands. It was a bit smaller than the handle on the B-safe and could be squeezed/released with one hand. My husband agreed that, for his big hands too, the KeyFit detached from the base more quickly and simply than the B-safe. 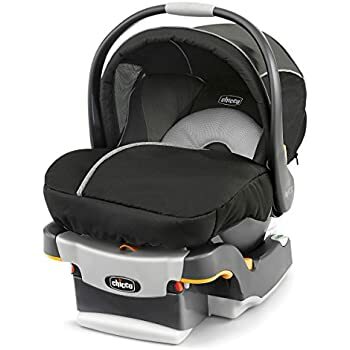 Britax B-safe – The car seat is reported to weigh 9.8 pounds. It is noticeably heavier than the Chicco seat, however it still was manageable. I could get it through doorways without too much hassle and carried it around a few other obstacles. 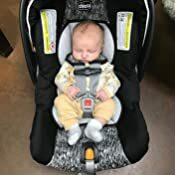 It will be more difficult to maneuver with an infant in the seat, but that just means that I will get more toned arms and core. *Chicco KeyFit 30 – The car seat is reported to weigh 9 pounds. It does feel lighter than the Britax. The handle was comfortable enough on my arm with the seat empty, though I expect it will feel heavy and cumbersome when there’s a baby in it. 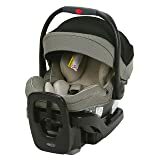 Britax B-safe – Comes in black, red, and sandstone (like a brown khaki). I’m not happy with any of the three options, as black would attact the hot SoCal sun, red is so intense, and the sandstone is quite boring. While I don’t expect to make a fashion statement with the car seat, it would be nice to have decent looking one. 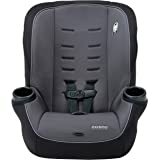 Britax convertible car seats come in much better colors. It would be nice if they offered some of those for the infant car seats. 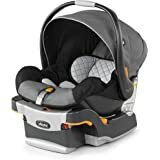 *Chicco KeyFit 30 – Several great options that should suit any parent. None are “too girly” or “too boyish,” so they could be happily used for any gender. *Britax B-safe – Easily folds down to give ample coverage for a baby’s face. The inner frame seemed sturdy enough that I didn’t have to be too careful when moving it. Chicco KeyFit 30 – A bit flimsy to fold down. I used both hands to move one side of the shade and then the other, slowly inching it down. 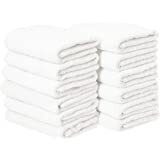 Perhaps after using the shade more often, I’d become more comfortable with it and not be afraid of it breaking; however, it seemed a bit flimsy. The shade didn’t extend as far as the B-safe and I could see the need to have a big hat and sunglasses on the baby if he was in the KeyFit. 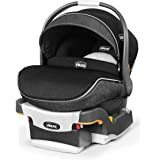 *Britax B-agile – We LOVE the click and go system. There are two little adapters that click into the stroller for the car seat to hook into. The car seat slides right on to the adapters and is instantly secure. 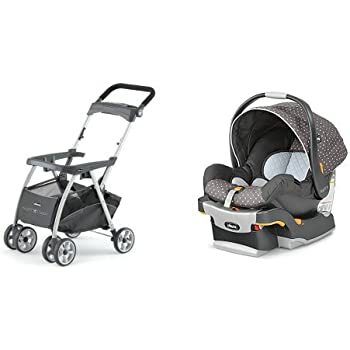 Any type of movement that might be encountered on a walk with the baby would be no issue for this stroller/car seat combo. 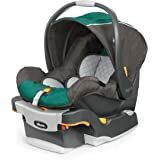 The car seat removes from the adapter and stroller with equal ease – just squeeze the handles and lift the car seat out. City Mini – The Baby Jogger adapter wasn’t TOO difficult to install, once I made sense of the directions. The instruction book had pictures that were not extremely clear due to the shading. A basic line drawing instead of a fancier image would have sufficed. As it is, the images took a few minutes to decipher before I realized how simple the set up was. Once I got the KeyFit attached to the adapter and the stroller, I took it for a test ride. Even without a baby in the car seat, I was nervous about the ride. The car seat jiggled around a lot. 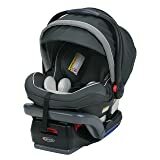 I had the strap tight holding the car seat- the jiggling appeared to come from the joint between the adapter and the stroller. Britax B-agile – The stroller height is comfortable enough for both my husband and I to push. It would be nice if the handle height were more adjustable, but we can make do. When the stroller seat is lowered to put the baby in a more lay flat position, my husband’s knees hit the seat. This will be avoidable just by being aware of the issue and being more careful. City Mini – Identical results to the B-agile, HOWEVER there is a bar between the back two wheels. I was most concerned about the bar for my husband with his long legs and big feet. My husband’s big feet almost caught up with the bar a few times, but it was actually a much bigger issue for me since my arms are shorter and I had to walk closer to the stroller. The bar annoyed me when I was pushing the stroller around, as I repeatedly kicked it. 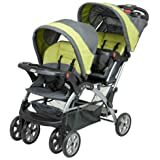 Britax B-agile – This is quite simple. You first push a button on the side of the stroller, then grab the handle on the seat and pull up. The button stuck a little bit when we first tried to collapse the stroller, but after some small jiggles it freed up. It seemed as though this was due to the fact that the stroller was new. I don’t expect it to be a repeat issue. City Mini – Easier than the B-agile. There’s no button to push first, you just grab the handle on the seat and pull up. 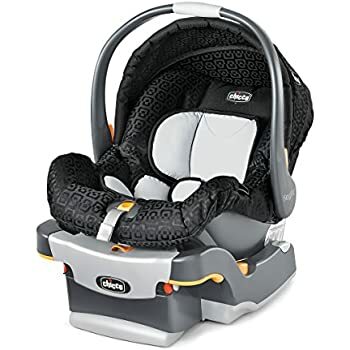 Britax B-agile – Same as the car seat. Comes in black, red, and sandstone (like a brown khaki). I’m not happy with any of the three options, as black would attract the hot SoCal sun, red is so intense, and the sandstone is quite boring. *City Mini – Several great color options so anyone could find one that they like. I don’t understand why so many of them have dark interiors to soak up extra heat, but at least there are a few that are light. *Britax B-agile – The sunshade on the stroller is a snap to adjust. Since the stroller is designed to work with the B-safe car seat, the sunshades meet up. At the fully extended position, the sunshade for the stroller and for the car seat intersect to form one large shade. I could see this coming in handy if it’s a very sunny day and I’m walking with a sleeping baby- or if I need to put up a protective shield from an annoying neighbor. Without the car seat installed, the sunshade still provides ample coverage for a baby or child riding in the stroller seat. City Mini – The stroller sunshade does not function when the adapter and car seat are installed. 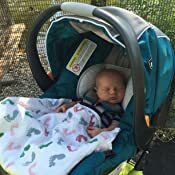 When just using the stroller seat, the sunshade is ok. It’s not huge and doesn’t provide as much protection as I would prefer, but at least it’s something. Ultimately, we decided on the Britax B-safe/B-agile combo because of the click and go system convenience, and the lack of a bar between the back stroller wheels. We will go with the BOB B-safe car seat for a bit better color options and the B-Agile 4 for slightly better maneuverability. 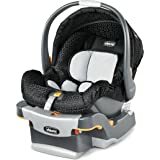 Both have the same safety and convenience features of the Britax B-safe/B-agile combo, but have a few winning features. Our local Babies R Us has the Britax B-Agile 4, which is the standard B-Agile but with 4 wheels instead of 3. 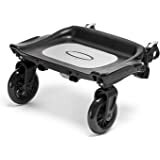 The 4th wheel adds some weight, but also significant stability and maneuverability. It comes in a gray/black combo which I like better than the 3-wheel color options. We will still have to be careful to cover it at the park so it isn’t blistering hot when we put the baby in it. 5.0 out of 5 starsKept 7 week old safe!! 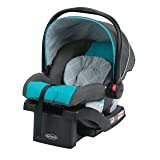 This is our second Chicco Keyfit 30, and I am loving it. Last week our car (Nissan Sentra 2010), was totaled in a highway accident, with me in the drivers seat and my 7 week old 11lb baby directly behind me in the Chicco Keyfit 30 Legend. While I suffered minor injuries, my daughter was unscathed. She cried immediately after the car stopped moving, but after having EMT's and then Emergency Room doctor's check her, it was decided that she was 100% okay. 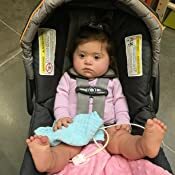 Doctors & Sheriffs alike, agreed that the car seat kept her safe, and that even though I would have to buy a new one, it was silk firmly secure in it's place even after the accident. I am impressed and thoroughly grateful for such a safe seat for the most precious person in my life. This is a late review. 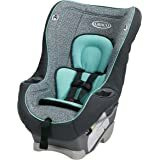 I purchase this carseat over a year ago and recently my baby threw up in the carseat. 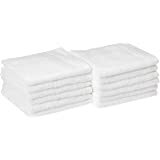 There is no way you can get rid of the smell and stain of threw up baby milk without washing it. So I read the manufacture instruction on how to wash it and follow it to a T. But when I take the cover out of the washer the part where all the seat belt holes go in rip. No where else was rip except those belt holes. So I contact Chicco customer service and told them the problem.. They told me to take a picture of the rip area and the serial number and invoice/receipt and email them. 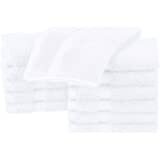 I did what they ask and they email me back saying them going to replace it for me..They told me to go online to their website and pick out the new cover color, since the one i have before is discontinue. I pick my cover color and they mail to me within 7 to 10 days. The customer service is excellent. They email me back with 48 hours.. I really didn't think they going to replace it since is over a years but they came through.. I would buy their carseat again once my baby grow out of this one..